Editor’s Note: All videos shown in this interview have been taken from the Japanese version of the game. 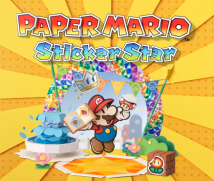 Today I have gathered all of you who were involved with Paper Mario: Sticker Star on Nintendo 3DS. First, please introduce yourselves, including how you first encountered and came to be involved with Super Mario, both as a player and a developer. We’ll start with Kudo-san. I’m Kudo from Vanpool.1 I was in charge of the direction and script for this game. My first involvement with Super Mario was at the time of the Super Mario RPG: Legend of the Seven Stars2 game for the Super NES as a member of the Square (now Square Enix) staff.1. Vanpool, Inc.: A video game developer based in Shibuya Ward, Tokyo. Vanpool works on titles for Nintendo, such as the Freshly-Picked Tingle's Rosy Rupeeland game.2. Super Mario RPG: Legend of the Seven Stars: An action RPG released by Nintendo for the Super Nintendo Entertainment System (SNES) in March 1996. It was a collaboration with Square Co., Ltd. (now Square Enix Co., Ltd.). 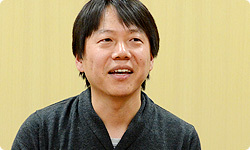 That project began with a desire to draw on Square’s RPG know-how in making a Super Mario game together with Nintendo. When did you first encounter Super Mario as a player? Maybe you didn’t play Nintendo games much? No, no! I played the Mario Bros.3 game on the NES like crazy! I loved it! (laughs)3. Mario Bros.: An action game released by Nintendo for the Famicom and as an arcade game in 1983. 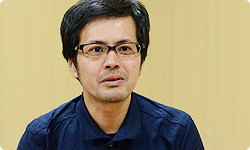 I’m Nakajima from Intelligent Systems (IS)4 and I’m involved with project management at IS for the Paper Mario series. As a player, I once had a part-time job at a place that had the Mario Bros. arcade game, and I played it all the time. As a developer, the first time I encountered it was when I got to help out a little with the NES game.4. Intelligent Systems Co., Ltd.: A game developer who has developed Nintendo software, including the Fire Emblem and Paper Mario series, and development support tools for successive hardware. Headquartered in Kyoto, Japan. Do you mean when you helped out part-time whilst a university student? Well, when I entered the company, they were developing the Family Computer Disk System’s5 Nagatanien Mario Bros.6 game.5. Family Computer Disk System: A peripheral product for the Famicom system released in February 1986 in Japan. The system used floppy disks on which software could be rewritten.6. Nagatanien Mario Bros. Game, also known as Kaette Kita Mario Bros. or Mario Bros. Returns: Released in November 1988 in Japan for the Family Computer Disc System. The game contents were very similar to Mario Bros., but during the game, advertisements would appear between levels for upcoming Mario titles and the Japanese food company Nagatanien Co., Ltd., the game’s sponsor. Players could only buy the game as a ‘rewrite’ for a disc they currently owned, rather than as a standalone version. That’s right, Nagatanien Mario Bros. It was 100 yen cheaper to rewrite the disk than use the usual Disk Writer game. That was the first game I was involved with making. When the Super Mario Bros.7 game came out, I played it all the time, without making any distinction between work and play.7. Super Mario Bros.: An action game released for the Nintendo Entertainment System (NES) in September 1985. 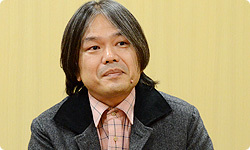 Nakajima-san, when the Super Mario Bros. ROM eventually arrived, did work grind to a halt throughout the company? Yes, it did! (laughs) I remember how everyone claimed they were debugging, but really they were playing it constantly for about a week. Those were more lenient times. (laughs) When the master ROM (final version of the game) was complete, it was handed out to those involved. Everyone was playing it at HAL Laboratory8 from morning to night, so work wasn’t getting finished.8. HAL Laboratory, Inc.: A video game developer that has worked on products such as the Kirby and Super Smash Bros. series. Satoru Iwata once served this company as president. Which means that with one thing and another, we’ve been at this for 30 years. That’s a long time! I’m Aoyama from Intelligent Systems. I was the director of Paper Mario: Sticker Star on the IS side. As a player, my friends and I always competed against each other in Mario Bros. on the NES. As a video game developer, when I entered IS and during the early days of the Nintendo 649 system, I was first involved with the Paper Mario10 game.9. Nintendo 64: A home video game console released by Nintendo in June 1996.10. Paper Mario: An action RPG released for the Nintendo 64 system in August 2000. It was the first game in the Paper Mario series. But Paper Mario gave birth to the paper-thin 2D graphics style. Yes. This is the first time I’ve been involved with the series since then. I’m Igata from Intelligent Systems. I worked on map design and coordinated the papercraft11 game world. As a player, the first title I tried out was Super Mario Bros. 312 on the NES, but the one I played the most was Super Mario Kart13 on the SNES. In primary school, I played that with my friends all the time.11. Papercraft: An art style that involves using paper to make models.12. Super Mario Bros. 3: An action game released for the NES in February 1990.13. Super Mario Kart: An action-racing game released for the SNES in September 1992. Wow! In primary school? Talk about a generation gap! As a maker of video games, this was my first involvement with Super Mario. It’s fun playing Super Mario, but was making it hard? It certainly was! (laughs) It was worth it, though. 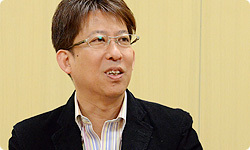 I’m Tanabe, a producer at Nintendo. I’ve known Mario since he first appeared in Donkey Kong14, but the game I played the most was the Mario Bros. arcade game. On the developer side, it’s a bit complicated. 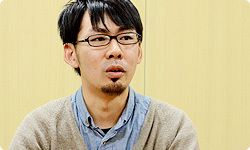 Yume Kōjō: Doki Doki Panic15 is the first title I directed. But later, that game was released as Super Mario Bros. 216 for North America.14. Donkey Kong: An arcade action game that appeared in 1981. The home console version was simultaneously released with the Famicom in July 1983.15. Yume Kōjō: Doki Doki Panic: An action game released by Fuji Television for the Family Computer Disk System in Japan in July 1987.16. Super Mario Bros. 2: An action game released for the NES in October 1988. Sold in Japan as Super Mario Bros. USA. Overseas, that was released as the second game in the Super Mario series. As for titles that were Super Mario from the start, my first involvement was map design for Super Mario Bros. 3. At the time of Super Mario RPG: Legend of the Seven Stars, which Kudo-san previously mentioned, you were the contact person at Nintendo, so you’ve known each other ever since. At the time, I had just entered Square. Including research, I think it was close to two years. It was the first attempt at collaboration for both of us, so it took quite a while. At our first meeting, Square presented us with an image of Mario wearing a cape, riding a horse and wielding a sword! Our first proposal combined Square’s specialty – a world of swords and sorcery like in FF17 – with Super Mario.17. FF: An abbreviation referring to the Final Fantasy series. I remember that the first thing (Shigeru) Miyamoto-san said when he saw that was, “That’s not right!” He mentioned how Mario wouldn’t have a sword, but might have a hammer. I suppose that when Super Mario became an RPG, Miyamoto-san had an idea in his head from the start about what he wanted to make use of and what couldn’t budge. But that was Miyamoto-san’s only specific request. My impression is that Square understood the rest and it turned out nicely. Kudo-san, how did you get to be involved? I was working on in-game events. Nintendo started saying that the parts I had been in charge of were fun, so I gradually got assigned more important parts. In the end, we were dealing directly with you. I remember how hard you worked for us, so later when we made Paper Mario for Nintendo 64, we asked you to come and observe. Once I moved to another company, I still visited IS about once a month. Okay! (laughs) Now that you’ve declared this to be “Talking At Iwata,” that’s what you have to do!